In the nine away matches that Ajinkya Rahane has played since October 2016, he averages an ordinary 36.02, contributing 543 runs in 16 innings. 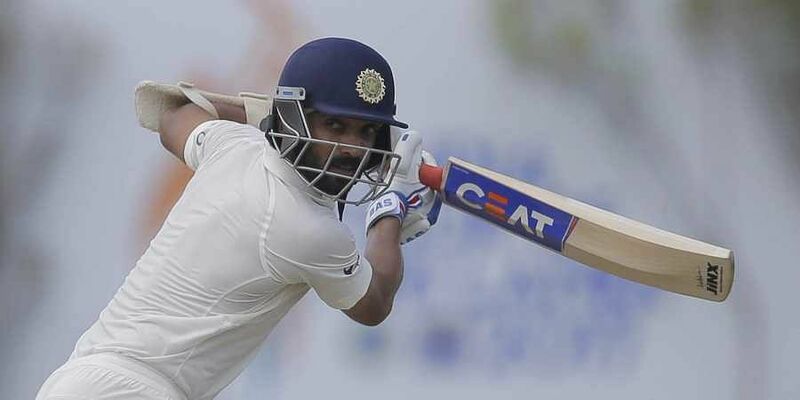 HYDERABAD: India batsmen struggling in foreign conditions is a tale that has been told innumerable times. Many willow-wielders have scored runs by tonnes at home, but found their skills to be wanting when abroad. Although skipper Virat Kohli has been holding the mantle of scoring in testing, foreign conditions for a while now, there was a time when even he struggled. That’s when Ajinkya Rahane stood out. Even after recent failures in England, an average of 46.32 in the 30 overseas Tests is testimony to that. However, the middle-order batsman’s form has taken a turn for the worse in the last two years. In the nine away matches that he has played since October 2016, he averages an ordinary 36.02, contributing 543 runs in 16 innings. On the other hand, his outings in India have been disastrous during the same period, as he has only been able to eke out an average of 21.95 in 13 Tests. The average is an unimpressive 28.05 when the overall record for the last two years is taken into account. Despite the figures not vouching for the talent he possesses, the Mumbai batsman continues to be a crucial cog in the wheel of the Indian Test machinery. He has been lucky in the sense that a batsman such as Karun Nair was dropped from this series against the West Indies after not getting a chance to prove his credentials on the England tour. Rahane featured in all five Tests. After managing only 48 runs in the first two matches, he hit two half-centuries in the next two encounters. But all that effort could only fetch him 257 runs in 10 innings. Another ordinary series, and yet he was retained in the playing XI for the first Test against the West Indies. Though there are signs that point out that his stars are not aligning properly even in the longest format — dropped from the first two Tests in South Africa — there is still little doubt over his participation in the second Test against West Indies starting on Friday. The 30-year-old was looking good in Rajkot, before throwing his wicket away going after a loose ball after making 41. With the tour Down Under approaching, the management might be worried, considering the team tends to bank on him whenever there is an overseas assignment. Asked whether his indifferent form is a cause of concer n, bowling coach Bharathi Arun hinted that the management has belief in him. “I think he is in pretty good shape. And if you see his overseas record, he is probably one of the best. It is just the question of him going out there and performing. I think he has got everything to do well at any given point of time,” said Arun. On Wednesday, Rahane was the first one to hit the nets and underwent an intense one-hour session under the watchful eyes of head coach Ravi Shastri and batting coach Sanjay Bangar. And from the way he was middling the ball, his supporters would like to believe that a big knock might just be around the corner. The last time he hit the field here, he had accumulated 110 in two innings against Bangladesh.